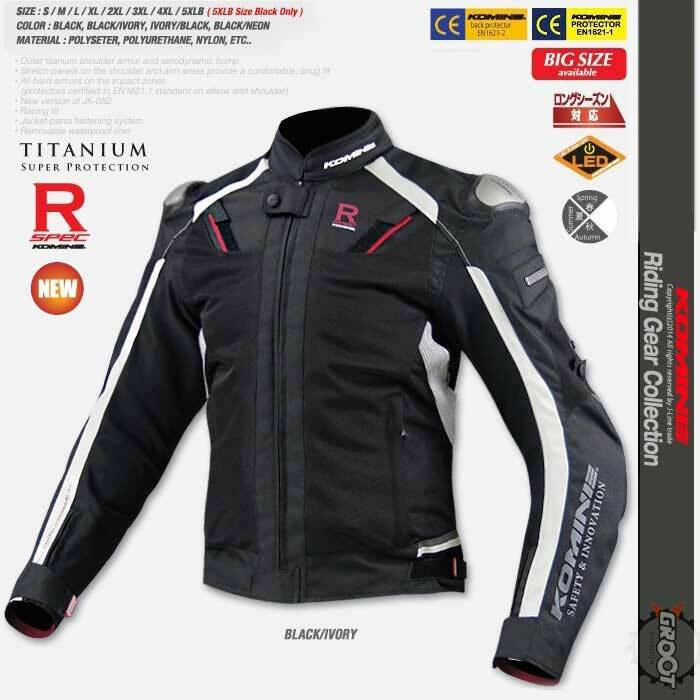 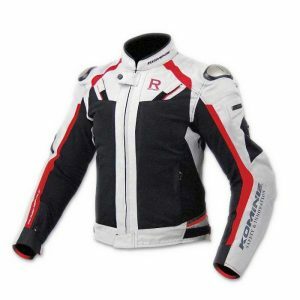 KOMINE JK-63 Titanium Motorcycle Riding Jacket R-Spec is a High-end Textile mesh jacket featuring Titanium Slider on both shoulders and Aerodynamics pad on the back. Massive use of Shirring and Stretch panel throughout the body, realizing motility of Racing suit transfer. 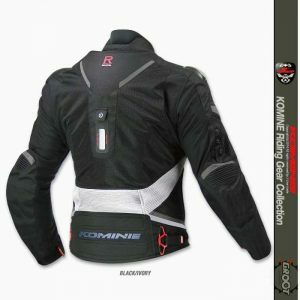 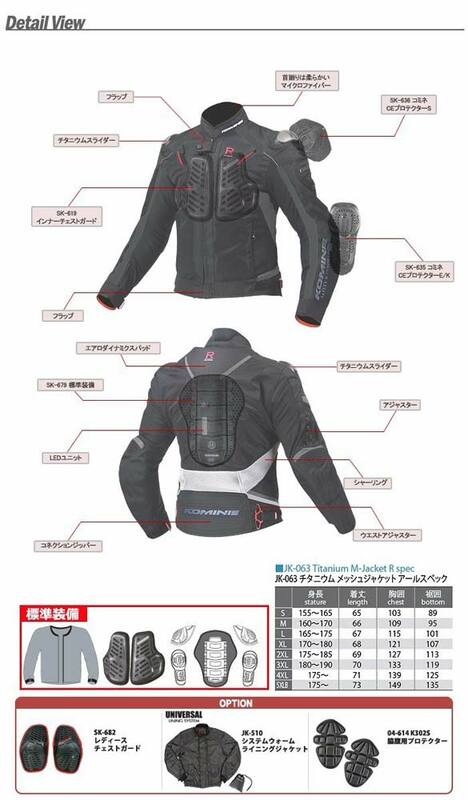 In addition to the elbow, the New Model of KOMINE JK-63 Titanium Motorcycle Riding Jacket R-Spec has CE Hard protector as standard equipment on the back, further refining the protection and performance. 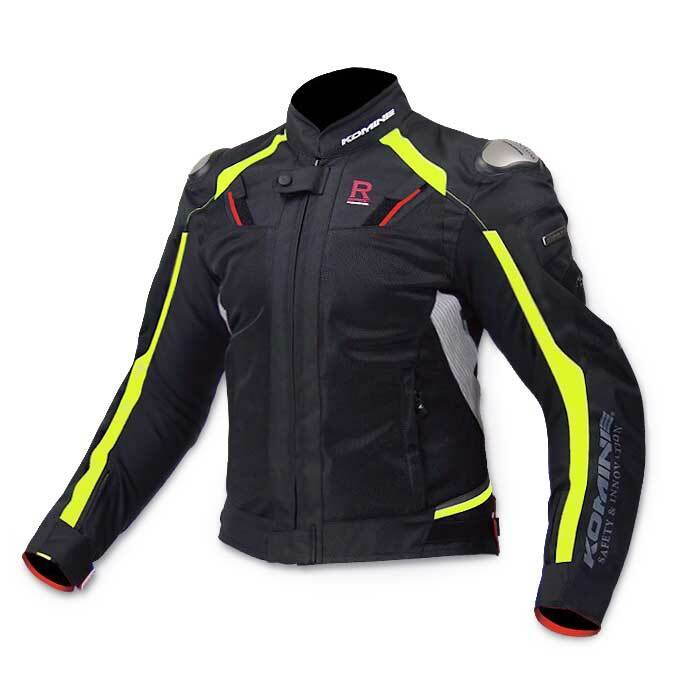 The Adjuster on the shoulder and waist can make it Race Fit to any body size. NOTE: Japanese sizes are smaller. 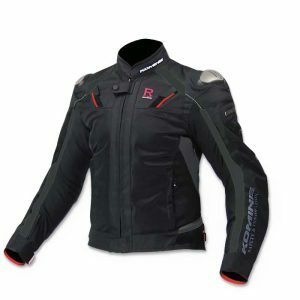 If you are from Europe, America, India, South Asia, Africa or Australia, please chose one size larger. 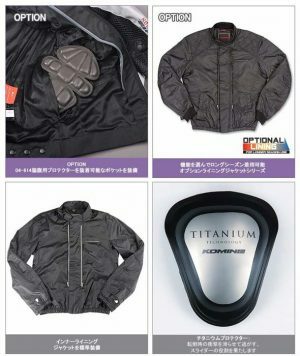 For example if your size is M, then chose a L size.